It all starts with powerful data. We’ve built a universe of over 250 million reachable consumers for your marketing campaigns. We connect data points to build user profiles that help you connect to the right consumer, with the right message, on the right device. Sam filled out an online form and opted to receive marketing messages. We partner with over 20,000 contributors and that number is growing daily. Our technology helps to verify and identify Sam as a real, reachable person. Sam’s information is paired with our data so we can build a complete user profile that helps us understand Sam’s interests and media consumption tendencies. Our data helps us better understand users with over 650 different audience segments. We can reach consumers through customized email, desktop, mobile and social advertising campaigns. Our data goes even further by using response activity to identify the type of media that best reaches your ideal customer, with the highest conversion within your industry. 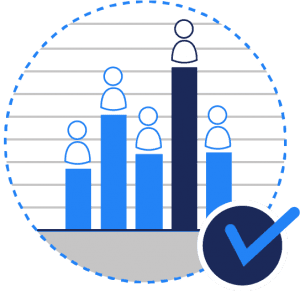 Our Data Profiling and Scoring technology is a unique tool that analyzes your current best customers, expands your reach by identifying a new look-alike audience, and confirms “super users” that are positively engaged in the online marketplace. 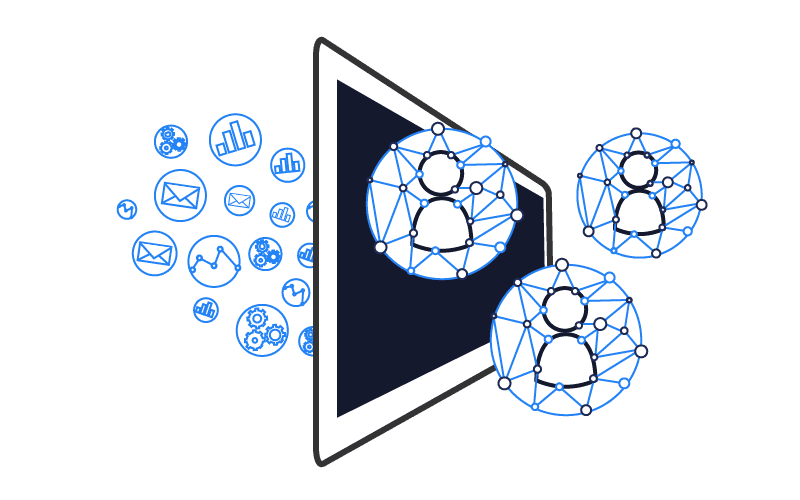 Bridge Onboarding Plus delivers you the highest quality matches between online and offline data points to help you accurately target real people across multiple channels and devices at the scale that you need. Bridge is a company based on strong partnerships in order to provide the best-in-class marketing and data solutions for our clients. If you’re interested in learning more about how we can work together, our account management team is ready to answer any questions.